Eighteen inches long, up to four foot wing span. Upper parts a mixture of amber and mottled gray finely speckled with black and white. Heart-shaped facial disks; white underparts. White mottled with black, sometimes barred tail. Small black eyes. Long wings and long feathered legs. Barn owls inhabit southern portions of North America from British Columbia and Ontario to Mexico. In the East as far north as Massachusetts. They are far more widespread than the reported sightings from which the survey maps were made. Barn owls are found through out most of the world in temperate and tropical regions. They and their cousins vary slightly in appearance. Considered unlucky in the folklore and superstitions of many cultures and abhorred by the Romans. 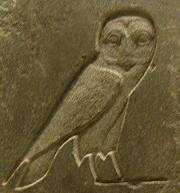 The barn owl represented the letter “M” in Egyptian hieroglyphs and their mummified remains have been discovered. Conceal themselves so well during the day and so silent at night, that neighbors may be totally unaware of their presence. A pair of barn owls lived for years on one of the towers of the Smithsonian Institution. When they are disturbed in their nest they click their bills and hiss. Occasionally a startling scream and quivering cry. They eat mice, rats and other mammals, insects, frogs, some birds, rarely poultry. 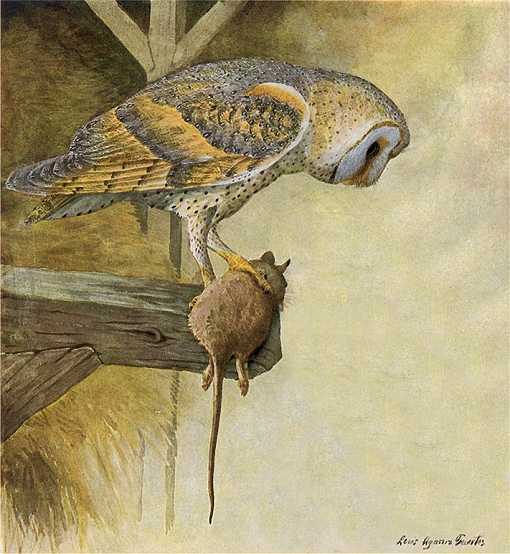 One pair of barn owls and their offspring may catch and consume as many as 3,000 rats per year. Accumulate loosely piled bones in tree hollows, deserted buildings and barns, boat wrecks on the coast, church towers, holes in banks, even holes in the open prairies. Sometimes claims old crows’ nests. Accepts large boxes appropriately placed and in return provides exceptional rodent control. Females lay five to eleven white eggs often found at varying stages of incubation. Eggs incubate for about a month and young leave the nest after about another two months. In Florida, farmers mount barn owl nest boxes as rats cause nearly $30 million damage every year to sugar cane crops. There are many innovative and varied barn owl house designs which one can find through an internet search including some attractive ornamental designs attached to barns and other buildings. They are all large with large openings and many have “porches” where adults can alight when returning with prey and make perfect stages for family photos. Barn owl houses should be mounted at least 12′ high in or on the sides of a barns or towers and on trees or posts. Installations at significant heights should be installed and maintained by professionals, carpenters, electricians, power line workers, etc. 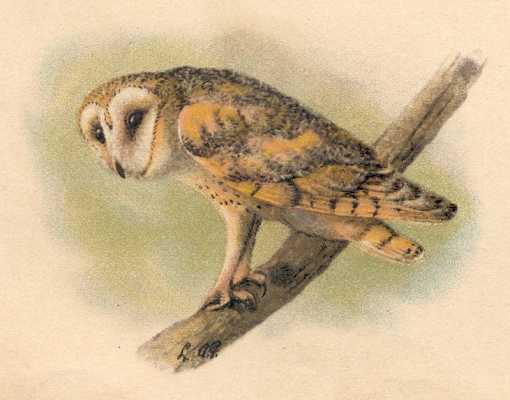 Barn owls inhabit southern portions of North America from British Columbia and Ontario to Mexico. In the East as far north as Massachusetts. They are far more widespread and densely populated than the reported sightings from which the survey maps were made. Barn owls are found through out most of the world in temperate and tropical regions. They and their cousins vary slightly in appearance. Barn owl houses should be mounted at least 12′ high in or on the sides of a barns or towers and on trees or posts.